In this first installment of the Evolving from Assessment to Learning Improvement Webinar Series, Fulcher and Good challenge attendees to take a hard look at assessment. Despite lip service to the contrary, higher education has little evidence of learning improvement resulting from assessment. This webinar orients the audience to more functional ways to align assessment with improvement and provides teasers of the upcoming webinars. Stay tuned for more information on these highly informative, practical webinars this spring - dates and times will be announced soon! Keston H. Fulcher is the Executive Director of the Center for Assessment and Research Studies and Professor in Graduate Psychology at James Madison University (JMU). JMU has received an unprecedented 13 national recognitions related to student learning outcomes assessment. 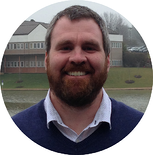 Fulcher’s research focuses on structuring higher education to better demonstrate learning improvement. He serves on the advisory panel to the National Institute for Learning Outcomes Assessment and collaborates extensively with the Assessment Institute in Indianapolis. 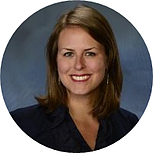 Megan R. Good is the Director of Academic Assessment at Auburn University. In this role, she supports the assessment work of 280 academic degree programs, coordinates Auburn’s centralized general education assessment efforts (known as SCORE; Student Core Outcomes and Readiness Evaluation), and collaborates with the Biggio Center for the Enhancement of Teaching and Learning to support six learning improvement initiatives. She is a graduate of James Madison University's (JMU) Assessment and Measurement doctoral program, where her dissertation focused on how programmatic learning improvement could be achieved by connecting assessment with faculty development work. She is also a co-author on the NILOA Occasional paper: A Simple Model for Learning Improvement: Weigh Pig, Feed Pig, Weigh Pig.